The more we find out about the Iran nuclear deal, the worse it looks. Each new day Congress reviews this deal, we discover more information and more reasons why this deal is simply unacceptable. 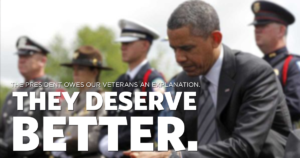 The gross incompetence demonstrated by this Administration’s inability to reform the VA is a scandal in itself.